Forgot to transfer your laundry to the dryer? You return to the washing machine after hours only to find that your clothes have now caught up a funky smell? Yikes! It is quite common for clothes to pick up a musty smell when they stay damp for too long. Towels are especially prone to this as they hold in moisture for long. Also, clothes that have been packed away for long tend to get infested with spores of mold. Sometimes even several machine washes fail to completely remove this musty smell from clothes. But don’t worry; you need not rush to the dry cleaner just yet. There are several household ingredients that can easily kill the fungal growth on clothes and get rid of the musty smell without ruining your favorite shirt. You can either use them as a pre-soak or add them to the washing cycle to treat the musty smell. We bring to you 10 effective ingredients that can be used to get rid of musty smell from clothes. Note: Do a patch test first on a hidden seam of the garment to check for its tolerance towards the cleaning agent. Found in every household, vinegar is the best ingredient you can use to get rid of the musty smell. It works as a safe and effective deodorizer and is also a powerful disinfectant that will kill any fungal growth. If you are worried about the vinegary smell, don’t fret. Hang the clothing out in the sun and the vinegar smell will fade away too. In fact, you can also use vinegar to eliminate body odor from clothes. Fill a shallow tub with enough water to soak the musty garment completely in it. Add 1 cup of vinegar for every gallon of water. 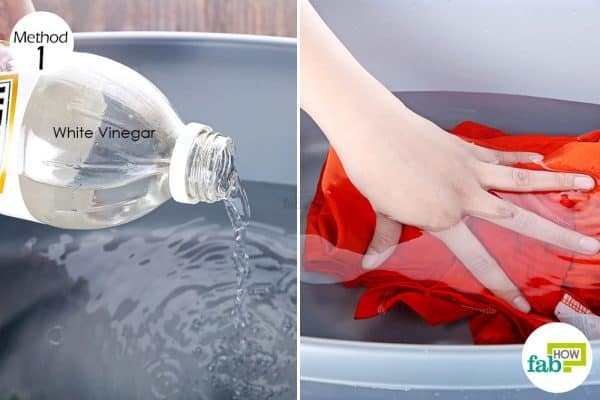 Submerge the musty smelling garment in the vinegar solution for 4 to 5 hours. Remove the clothing from the solution and launder it as usual. Hang the clothing out in the sun and let it air dry. If you still pick some funky smell, repeat the process again to get rid of the mold completely. If the smell isn’t too strong, then your regular fabric conditioner can also get rid of musty smell from clothes. There are certain detergents like Clorox and Oxiclean specifically made to get rid of mold. 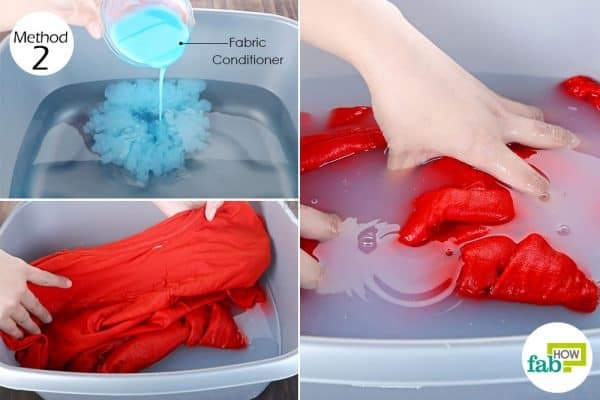 You can pre-soak the clothing in the conditioner and then wash it with a mold-killing detergent. Fill a small tub with water. 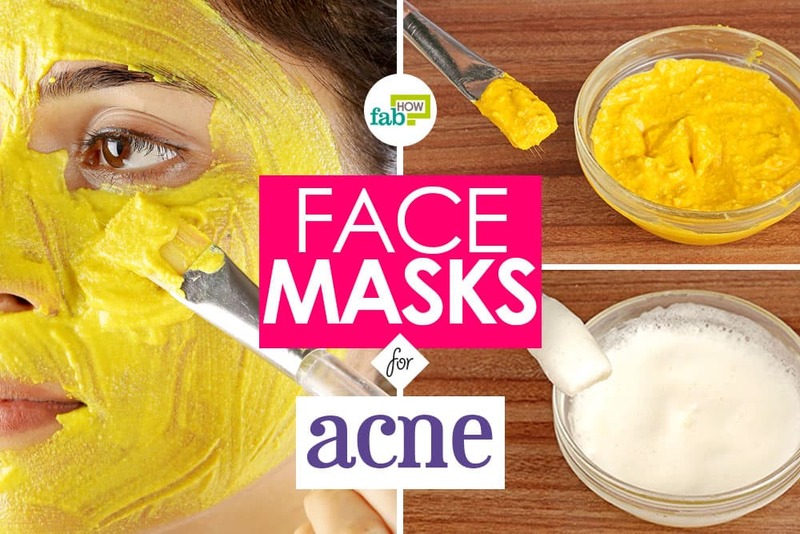 Mix in ½ cup of fabric conditioner. Soak the garment in the solution for 15 to 20 minutes. 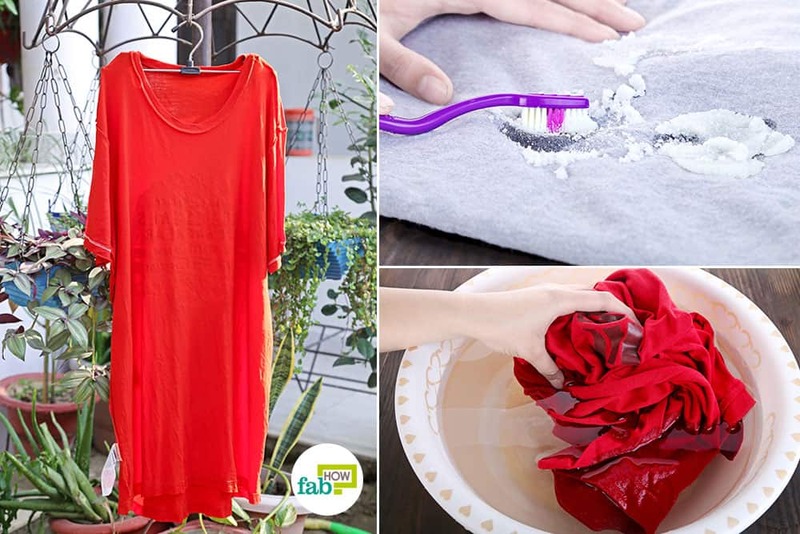 Retrieve the clothing and run it through a normal wash cycle using the mold-killing detergent. Hang the clothing out in the sun to let it air dry. Borax is another powerful yet safe mildew and mold killer. Adding it to the wash cycle will not only treat the musty smell but also soften your clothing by neutralizing the pH of water. You can also use borax around the house for cleaning, pest control and more. Add ¼ cup of borax to 2 cups of hot water. 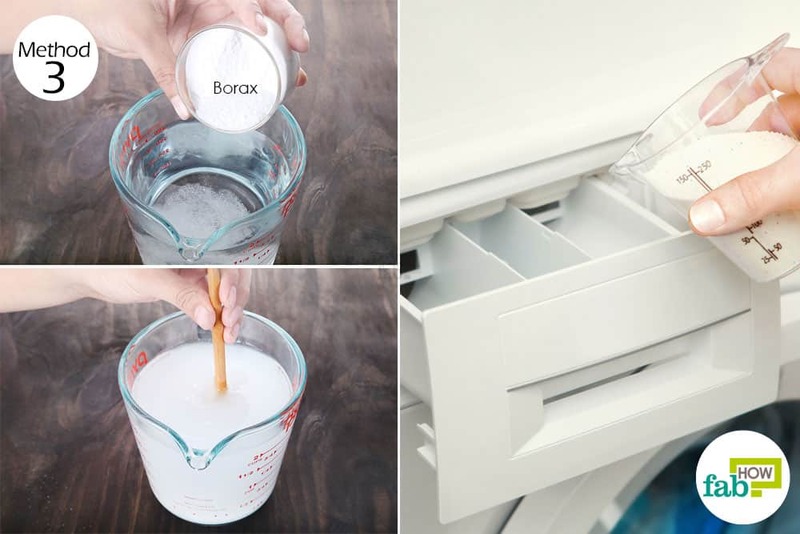 Stir well to dissolve the borax completely. Fill up the washing machine with water and add the borax solution. Run your smelly clothes through a normal wash cycle. Hang the clothes outside to let them air dry. Baking soda is an excellent odor absorbent that can even soak up all the musty smell from your clothes. It also serves as a disinfectant and will kill the mold spores effectively. 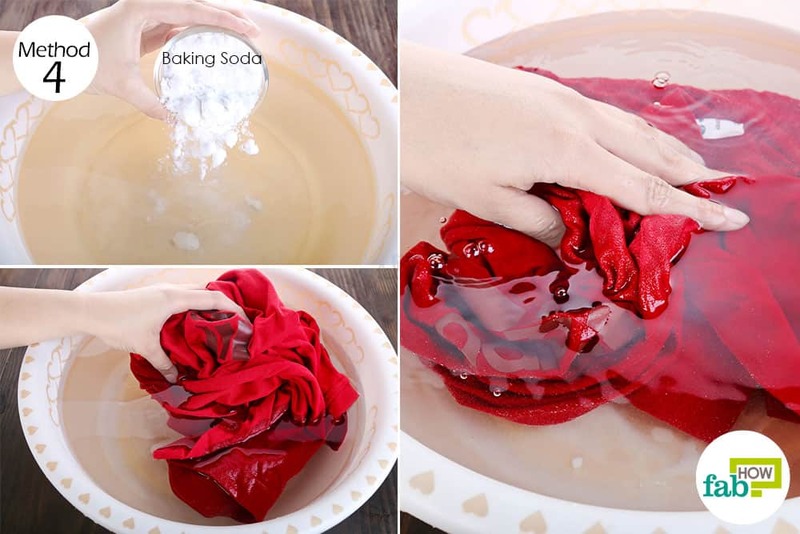 Fill up a tub with water and add 1 cup of baking soda to it. Stir well to dissolve it completely. Soak the garment in it for 30 minutes. Retrieve the clothing and launder it in a normal wash cycle. Instead of drying the clothing in the dryer, hang it out in the sun to let it air dry. In case your smelly clothing is a dry-clean fabric only, use this vodka hack to get rid of musty smell from clothes. Just like any other alcohol, vodka will kill the mold and neutralize the odor. You may need repeated applications to get rid of the smell completely, but it should work well. 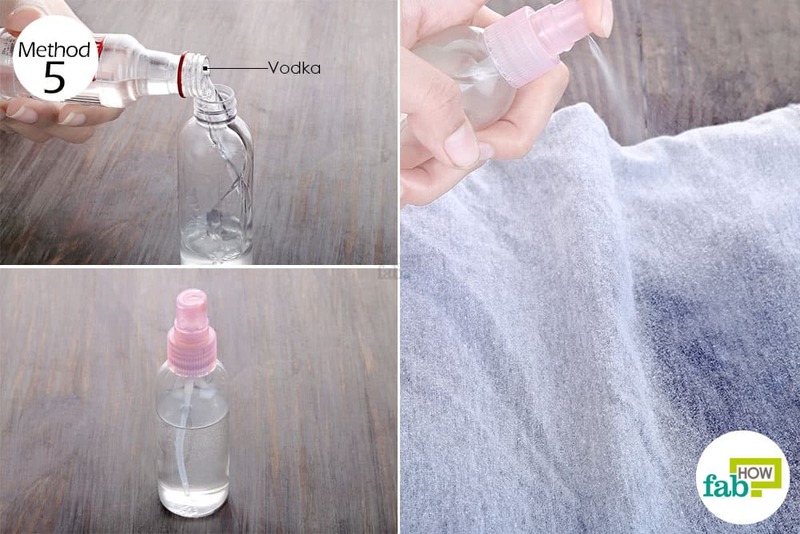 Fill a small spray bottle half of the way with water. Fill the remaining with vodka. Turn the clothing inside out and spritz the diluted vodka all over the smelly garment. The musty smell will fade away as the vodka evaporates. Repeat application until the smell is completely gone. Lemon is a natural antibacterial and antifungal agent that can be combined with salt to get rid of musty smells from clothes. Salt works as a natural antiseptic to dehydrate the microbes, killing them effectively. Together they can be used as a spot treatment to kill mold patches on clothes. 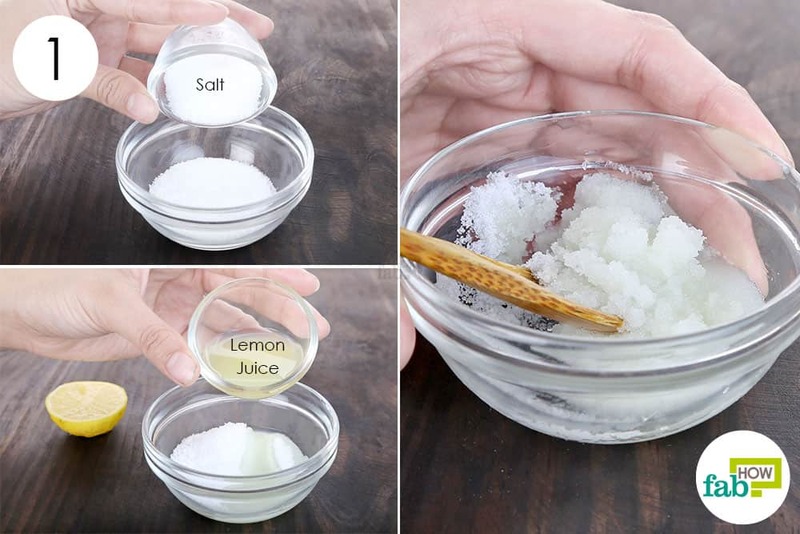 Put 2 tablespoons of table salt in a bowl. Add to it 1 tablespoon of lemon juice. 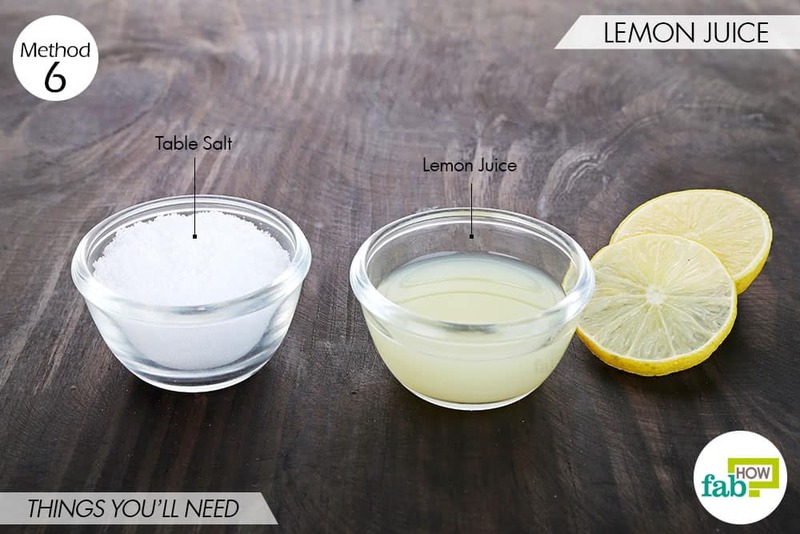 Use lemon conservatively as it also works as a bleach. Use a spoon to spread the lemon salt paste on the mold patches. Leave it out in the sun to allow the paste to dry completely. 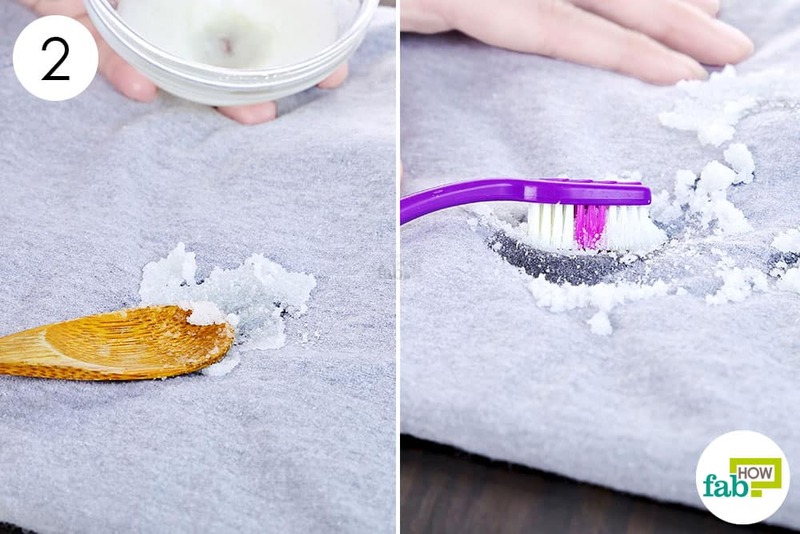 Use an old toothbrush to scrub at the stain. The mold patches will come off along with the dried paste. Launder the clothing as usual. 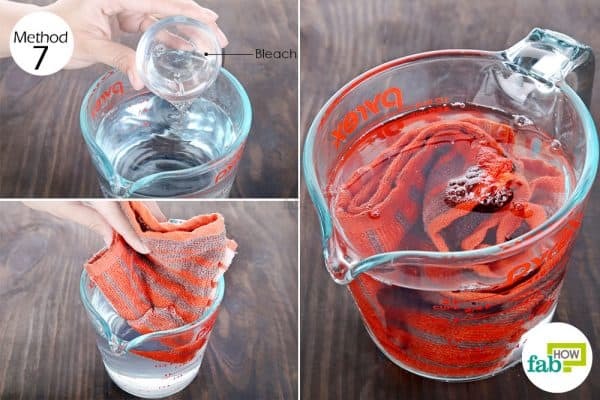 Add 1 tablespoon of bleach to 2 cups of water. 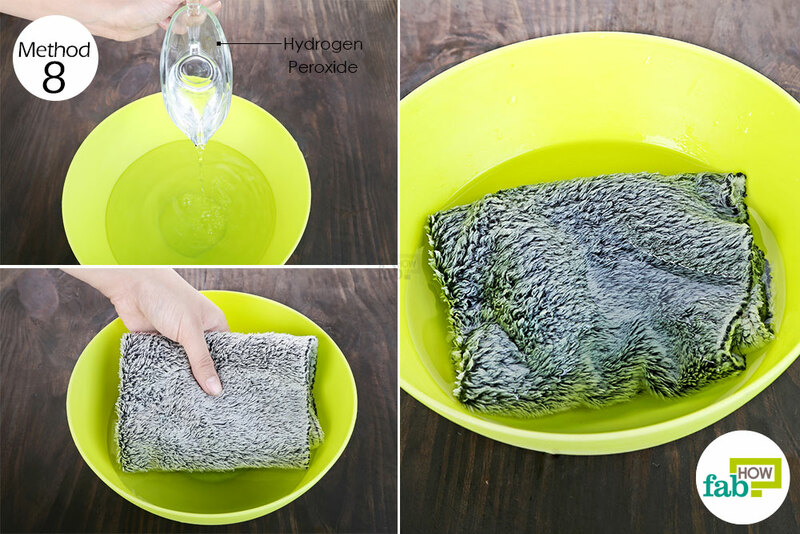 Soak the smelly fabric in the solution for 10 to 20 minutes. Retrieve the clothing from the solution and launder it as usual with your regular detergent. Instead of drying it in the dryer, hang the clothing out in the sun. Hydrogen peroxide is another oxidizing agent that can be employed to kill mold infestation on clothes. Since it is a strong disinfectant, you need to dilute it first before using it as a pre-soak. Use 3% hydrogen peroxide as a higher concentration can ruin the fabric of the clothing. 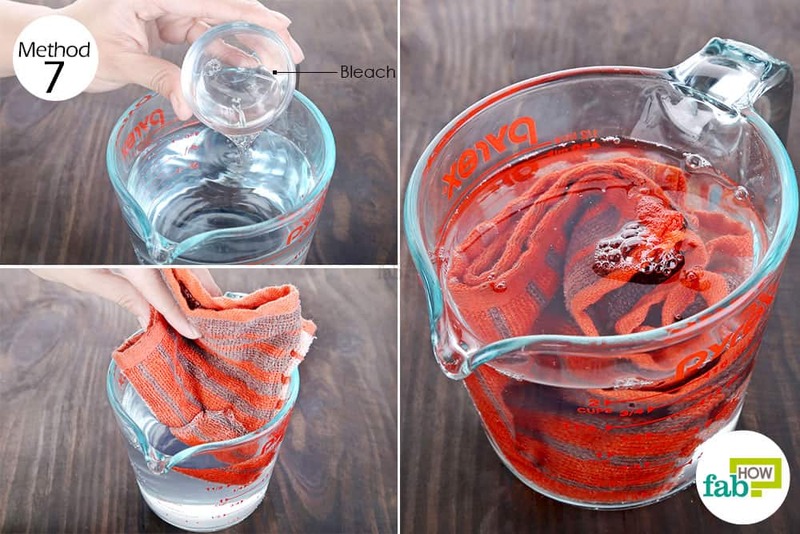 Fill a small tub with enough water to soak the clothing completely. Add to it ½ a cup of 3% hydrogen peroxide. Soak the infested clothing in the diluted solution for 10 to 15 minutes. Run it through a normal wash cycle in the washing machine. Let the clothing air dry under the sun. You can also use ammonia instead of bleach in order to treat mold and deodorize your musty smelling clothes. 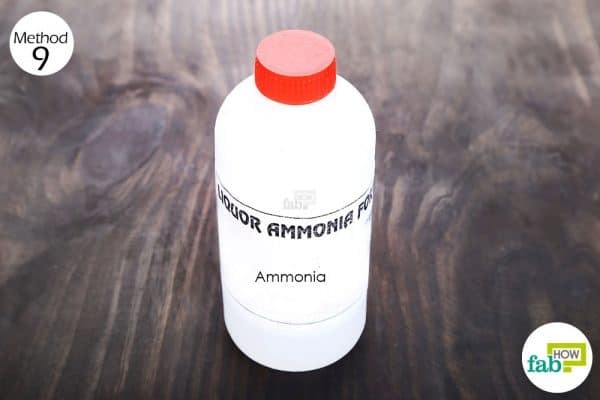 However, do not mix ammonia and bleach as it causes a strong reaction and the resultant fumes can be highly toxic if inhaled. Note: Keep the windows and doors of your laundry room open for proper ventilation. The fumes of ammonia, if inhaled in a large amount, can cause irritation. Fill up the washer with water. Add to it 1 cup of ammonia and throw in the smelly laundry. Run a complete wash cycle. Now run a second wash cycle, this time using your regular detergent. Hang the clothing out in the sun and let it dry completely. 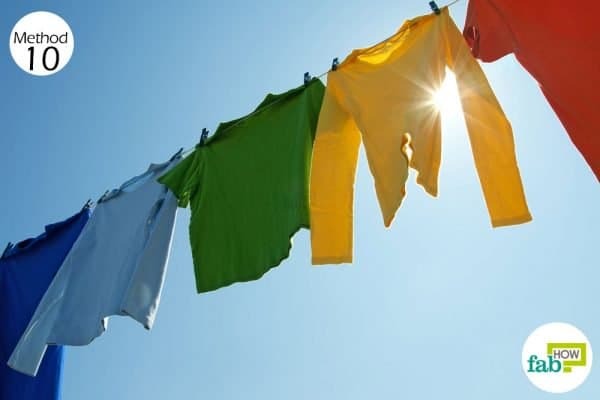 Sunlight is highly effective in getting rid of the musty smell from clothes and also to freshen them up. The strong rays of the sun help to kill any remaining mold spores on the clothing. All you need to do is, instead of drying your clothes in the dryer after wash, hang them out in the sun and let them air dry completely. Always check the clothing label to determine whether the clothing is wash safe and bleach safe. Choose the cleaning method accordingly. Since hydrogen peroxide and ammonia are strong chemicals, it is advisable to wear gloves while using them to get rid of musty smell from clothes. Keep your cleaning chemicals far from the reach of children and pets to avoid an accident. Treat your whites and colored garments separately to avoid any color bleed.